First, put all the ingredients for the honeycomb into a deep saucepan and place on a medium heat – try not to stir the mix too much, just give it a gentle swirl every now and then. Simmer until you get a golden caramel (the bubbles will start to rise slower) throw in the bicarbonate of soda and whisk, (it will bubble up really fast, so have a tray lined with baking paper ready!) then leave to set for 30 minutes. In the meantime, melt the chocolate and butter in a heatproof bowl over a pan of simmering water. Pour in the chocolate mix, then the flour and combine everything. 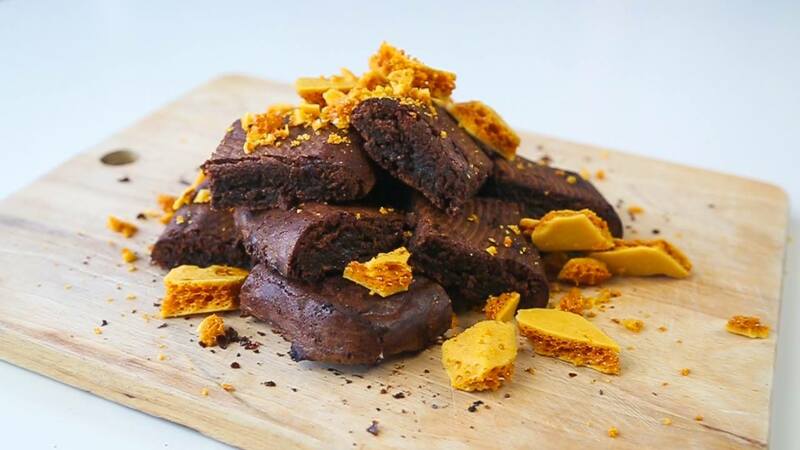 Smash up the honeycomb and stir about 2/3 of it into the brownie mix and pour into a lined tin – try to push it down so it’s not sticking up – and bake at 180 degrees celsius for 25 minutes. 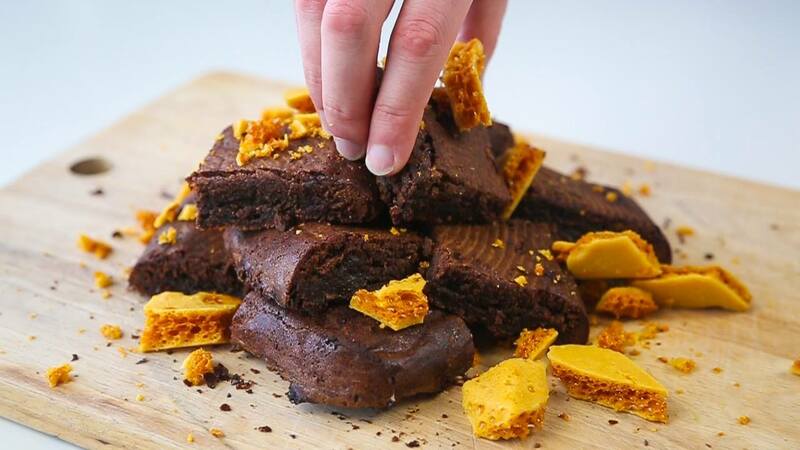 Allow it to cool in the tin, then take it out, slice it up and sprinkle over the remaining honeycomb.